PT Federal International Finance - FIFGROUP is a leading consumer multi finance company in Indonesia. 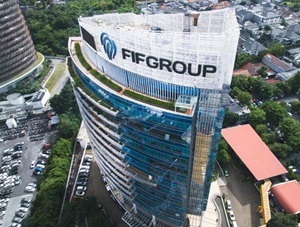 Based in Jakarta, FIFGROUP has core business focus on 3 business pillars: FIFASTRA with focus on motorcycle financing services, SPEKTRA with focus on multi-products financing services and AMITRA with focus on sharia multi financing services. PT Federal International Finance is a financial services subsidiary company of PT Astra International Tbk (Astra Group), a large and solid business group in Indonesia. As of December 2016, Astra Group holds 99.99996% shares in FIFGROUP and 0.00004% by PT Arya Kharisma. At present, FIFGROUP now has 196 branch offices, 400 pos offices and more than 100,000 payment points throughout Indonesia which served by 18,675 dedicated staff. According to PT Federal International Finance Annual Report 2016 as cited by JobsCDC.com, FIFGROUP’s performance in 2016 improved over the previous year. FIFGROUP managed to increase its total income by 11.55%, from Rp7,459.49 billion in 2015 to Rp8,321.27 billion in 2016. Total net income growth by 19.84% from Rp1,506.66 billion in 2015 to Rp1,805.68 billion in 2016. Bachelor Degree (S1) in Telecommunication Engineering, Computer System, Information System, Informatics Engineering, Computer Science. Willing to be placed at FIFGROUP Head Office, TB Simatupang, Jakarta Selatan. For IT Development : able to operate JAVA, Oracle and other programming, web and mobile developing platforms. For IT Analyst : Have at least 1 year of work experience as IT Analyst (SA, BA or QA). JobsCDC.com now available on android device. Download now on Google Play here. Please be aware of recruitment fraud. The entire stage of this selection process is free of charge. PT Federal International Finance - Fresh Graduate, Experienced IT Officer FIFGROUP April 2018 will never ask for fees or upfront payments for any purposes during the recruitment process such as transportation and accommodation.